Without Internet users, consuming on line services and applications, the digital economy would not exist. Its expansion and diversification would not flourish. Each one single “click & touch” made by an Internet user over web or mobile (including when someone is not consuming stricto-sensu a service on line, meaning he/she is not buying a good or a service for which he/she pays by mean of a payment instrument), is what makes the Internet a dynamic and growing ecosystem of technologies, services, products and new business models. Hence, it’s time to put the end-users where they should be: at the center of the data driven business models; and to give them authority and capabilities to exercise the Right to Monetize their data. It’s time to give back to end-users a fair compensation for the gains they contribute to generate for third parties. It’s time to introduce a new policy concept for the digital economy: we called it the Right to Monetize and this policy concept could be built around the notion of property rights to infer a profound change in the way end-users’ data are marketed today. This article builds its theme upon the growing tensions characterizing the relationships between three main actors of the Internet value chain: telecom operators and more generally Internet access providers (ASPs), operating the connectivity infrastructure; Internet over the Top (OTTs) or Internet service providers (ISPs), offering web and mobile services to consumers and businesses, and the European governments/Institutions. These tensions are often exemplified under the themes of “Net Neutrality” and “Web Tax”. Net Neutrality debate circles around the right or not of an access service provider to manage (and/or restrict) the data traffic carried over for an ISP, other than from an efficiency perspective. While the Web Tax is often referred as the attempt by the European Governments and the European Commission to impose on OTTs a corporate income tax at the place where services are rendered vs where the company has its principal place of business. We will not enter into the debate of the rights/interests of each of the parties for their claims and if these measures are proportionated and justified. Our intention is rather to take a step back and defocus from the binary relationship between Telcos/ASPs and OTTs/ISPs and OTTs/ISPs-EU Governments and European Commission tense relations’ and angle the debate from a different view point: the Internet users’ viewpoint and the economics associated to the end user rather than those of the intermediaries. Why taking this approach? Internet users are the lifeblood of the Internet. While they buy a good or a service on-line, while they download a video or a software, while they exchange pictures or tweet, while they surf the web in search of structured responses or store their content over the cloud, each one of these “clicks” matters and, going forward, their touch, voice and eyes blinks will matter too. But is this something known by the user? And if known, is this something understood and leveraged from a monetization angle? Are Internet users able to capitalize on their clicks/touch/vocal commands and on their right to be compensated for producing the most valuable good exchanged over the Internet platform: their preferences and the data they constantly generate and share from their devices and engagement on line? We believe they are not. Internet is the largest existing market place on earth and global by default. Open to anyone to access it. In such store, users’ clicks are the most wanted, exchanged and exponential valuable product. More clicks mean more aggregated information, mean more accuracy in analytics and profiling; mean more accuracy in clustering for advertisement purpose; mean more revenues for profile collectors, data aggregators and data resellers. User profiling data are sold again and again until there is a buyer which shows interest, like in a permanent stock exchange; this means that the same user profile can also be sold multiple times, generating each time a revenue for a different stakeholder. Such replicability makes the users profiles the most scalable and profitable good traded over the Internet platform. The multitude of connected devices growing exponentially, powered by better and faster computational power, enables directly OTT to exploit such growing data mine over time, in particular as they become more and more sophisticated in mastering web and mobile integrated technologies. While this is obvious for the Internet value chain players, this is not automatically visible or understood by Internet users, who are more and more engaging on-line as “unaware data subjects”. The recent Cambridge Analytica data breach case demonstrates it. End users can hardly imagine how their personal and non-personal data get used by Over-the Top platforms, especially massive social networks like Facebook and other market leaders, which are today interlinked with myriads of third parties, up to a point to lose themselves the visibility up to which extent they have permitted third party re-elaborate their customers data. Users also ignore that the on-line exchange, of which they are at the heart, is generating very significant revenues for the “long tail” of the value chain, in the order of magnitude of billions of dollars a year. According to Statista, the on-line advertisement market is estimated to reach 300 billion US$ a year by 2020, the Internet of Things addressable market to reach around 130 billion US$ by the same time and the market of the Artificial Intelligence getting closer to 60 billion US$ by 2025. Users don’t perceive themselves as crucially necessary to the functioning of the Internet nor to the fueling of the important revenue sharing model which businesses apply to their relationship on line. And even if users would do, they could not assess how much value is generated through their profile aggregation and resell. That information remains invisible to them, as well as the way it is processed and, potentially, enriched by third parties. In practice, users perceive the services they access as being of high value (or value enough to compensate them under the so called free-model) and do not perceive being of high value the data they generate on line. Indeed, it is a predominant belief that data don’t have value when they are collected but do entail one each time they are processed and analyzed. Which implies that, since processing is always made outside of the end-user domain, on ex post basis, users are deliberately left out of the monetization opportunity. While end-users don’t claim any consideration for the value they create on line for third- parties, the same Internet users often complain about their broadband connection service level, stating it is not affordable or ubiquitous enough or of sufficient high quality to let them enjoy unlimited engagement on line. We said users don’t perceive themselves as an important value contributor in the huge game of data collection, processing and trading, which occur every day between businesses on line. We also said European regulators and legislators take very seriously consumer protection and how data driven business shall be regulated if they monetize personal data. This is falling under the GDPR [General Data Protection Regulation] that will apply from the May 25, 2018. Not surprisingly, more recently also in USA a debate has emerged – following the biggest recent data breach scandals – focusing on the necessity that data companies like social networks wit global footprint should/could be regulated in regard of how they use people’s data. Fair to say that Europeans are also looking back into a possible re-design of the data monetization framework, under the review of ePrivacy Directive, whereby the Commission and the Parliament are seeking to embed in the proposed new Regulation the concept of “user explicit consent” in a similar fashion than in GDPR. While the data-driven industry (primarily OTTs) has accepted and declared being willing to comply with GDPR strict user “explicit consent” collection rule, it is now fiercely opposing to comply with a user’s consent rule requirement applying to metadata and analytics, trying to defend the point that different kinds of fairly explicit users’ requests and choices should work along specific user consent exemption to be devised, as pre-requisite for continued innovation. Maybe the sole “explicit consent” perspective is not enough, in order to empower users. We believe end-users (data subjects) should start becoming more aware of their intrinsic on-line value and, therefore, actively participate in the data mining (data collection) and user profiling (data processing) data market place. Ultimately, their personal but also anonymized data account for the row commodity used to build digital products and services. If the assumption is that end-users and their engagement data are so critical to the success of the Internet, then their role should be acknowledged, and the associated rights shall be recognized and enforced through appropriate legal, economical, technological and regulatory mechanisms. The counter to this thesis would be that end-users are: a) already adequately compensated via the free Internet information and services availability (email accounts, storage for pictures, music and videos, maps services, etc. ), including sometimes connectivity (sponsored connectivity model like free wi-fi access has emerged in various context); b) adequately legally protected under the current Privacy, Data Protection and Consumer regulations and laws which progressively Europeans have adopted and which other parts of the world have started mirroring; c) remain somehow unable to efficiently “tender out/price” their data as marketable good (or, more in line with the spirit of EU law, to allow/license their data collection and use “as a service”) and cannot in essence participate in the data marketplace as active stakeholders. In reality, while users are in principle legally “protected” while they click/engage on the Internet, by a body of consumer protection and privacy laws (which differ from country to country), they are not economically compensated for the proportionate efforts they make as data subjects generating “value”. It is exactly this concept of “fair and proportionate remuneration” for data subjects that shall be put at the heart of the discussion by stakeholders and policy makers, in particular as the Internet evolves into its next shape and governance phase. We believe the time has come to talk about the merit of enabling end-users to dispose of their generated data under a form of property rights scheme and this to extend beyond personal data as defined under the current regulatory framework, to include any data a given data subject is generating, through one or more devices, through one or more connections, and this to extend to include all data which will be generated by IoT devices for the benefit of a consumer or an enterprise. Like in any contract between two parties, which is built on the consent to the terms and which always includes a form of consideration, if terms change, it requires acceptance by both parties and consideration associated to those terms may vary, also terms between end-users and their digital service provider could possibly vary based on end-user request, so that the end-user – by being empowered to do so – would become an active player in the wholesale data market place. We believe it is timely for Internet users to rely on a new right, to be exercised on-line, enabling them to manage, modify and optimize their contractual terms toward their digital service providers, far beyond what that same service provider has opportunistically foreseen as minimum terms and only if obliged by the law. We believe that the introduction of such new right has the potential to significantly amplify how value creation will be generated in the Connected Society, to the benefit of consumers and businesses. By getting end-users directly entitled to participate in digital value creation, wide economies of scale will be triggered and positive competition effects in the downstream market will appear. End users, by exercising such right collectively, may create a consistent bargaining power, whereby today, as single individuals, they would not be able to achieve. Enjoying “rights” is at the foundation of modern society and democracy. Building new rights, especially applying in the digital world, is not a banal task as we don’t foresee there is a merit in applying different rights between the real and digital economy. However, as we see the digital world changing constantly and evolving rapidly, consumers navigating passively this epic change, without questioning the modalities or the effects of the technology innovation, it has made apparent that further rights development, in the digital space, is desirable. This is why we propose to introduce a Right to Monetize in the digital space and make of this right a right to everyone. Making such new right available to everyone, everywhere in the world, can be achieved. 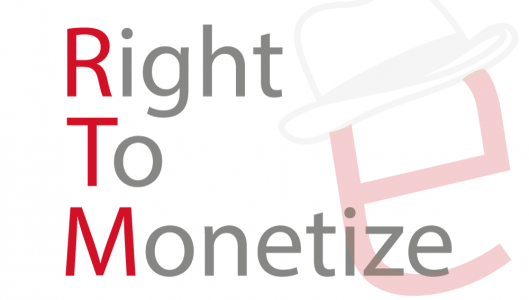 A new policy framework is needed, in order to make Internet users be granted and enjoy what we called the Right to Monetize [“RTM”]. We believe the timing is right and the technology is here. We believe the theme should be put on the policy tables now, while Europeans prepare for the entry into force of the General Data Protection Regulation (GDPR) and while the ePrivacy Directive is still under review. It should be supported by European Governments and all stakeholders which believe in an Internet that is bringing economic development and wealth to all parties, including in underserved areas and emerging markets. We believe Europeans are well positioned to launch a prospective analysis and impact assessment as of the benefits of the introduction of RTM, and in particular run a benchmark impact assessment against other policy and legislative measures that have been envisioned and which have not yet proven to resolve the tensions between the commercial players, and which continues to set aside the end users. Users’ data in today’s digital world are the raw material used to design and build most of the digital services and products that we know and use, including those to come in the near future, based on Artificial Intelligence (AI). 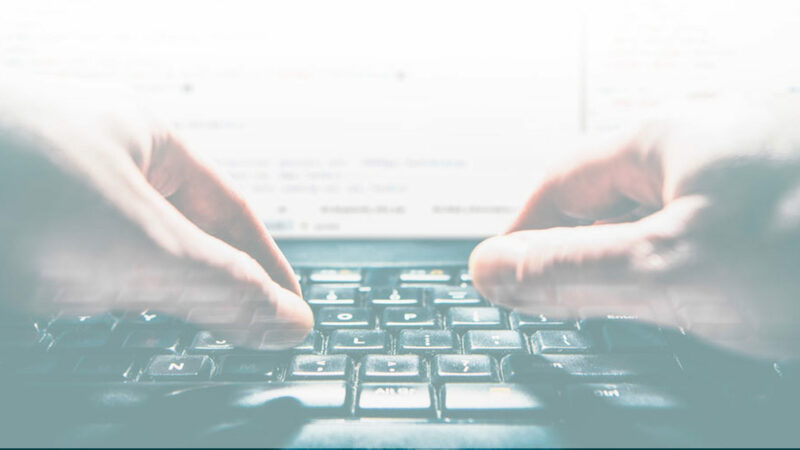 End-users cannot be excluded, as they are today, from the data monetization opportunity as a consequence of the predominant technology stack design. End-users are too important to the value creation process to be excluded. Thus, it’s time to create a proper policy framework to enable end-users to take advantage of this incredible opportunity. And by doing so, we will have a fairer, inclusive and more prosperous Internet ecosystem. Isabella de Michelis (isa@ernieapp.com) is the founder and CEO at ErnieApp Ltd, a company active in the design and development of consumer software solutions. She has worked more than 20 years as a senior executive for US high-tech F100 companies and several European telcos. She spent most of her career designing corporate development strategies which funded their uniqueness and success around the interplay between new technologies, regulatory and competition. Among these, she theorized and coined Licensed Shared Access wireless policy and popularized it until it got adopted by EC and the FTC; she theorized how Technology Neutrality could be widened in scope when applied to wireless communications – which was then the approach adopted by EC and ECC in several radio frequency bands. Luca Bolognini (l.bolognini@istitutoprivacy.it) is the President of the “Istituto Italiano per la Privacy e la Valorizzazione dei Dati”, the main think tank dedicated to advanced data protection studies in Italy. Luca is a lawyer, founding partner of the law firm ICT Legal Consulting. He serves as an independent ethics and privacy advisor for several European H2020 projects. He has written books and articles on issues concerning Big Data, cloud computing, IoT, web 2.0, legitimate interest, freedom of information, right to be forgotten, profiling and pseudonymization for scientific journals and both national and international newspapers.